SEATTLE — Crowned as “Favorite Humanitarian” by People’s Choice earlier this year, the famous TV-personality has certainly lived up to her last name, which oddly and fittingly enough, describes just the kind of person she is — generous. Throughout her years as an on-screen host, Ellen DeGeneres has lent a hand to global causes, making endless contributions to various charities that support poverty, hunger and major diseases. This isn’t the first time DeGeneres has worked with this organization, however. Back in 2014, the star orchestrated a historic selfie as host of the Oscars, featuring Jennifer Lawrence, Bradley Cooper, Meryl Streep, Brad Pitt, Angelina Jolie, Kevin Spacey, Julia Roberts and Lupita Nyong’o’s brother. The resulting tweet has garnered more than 3.3 million retweets to date. Since a Samsung phone was used to snap the picture, the electronics company decided to donate roughly as many dollars as the number of retweets to charities of DeGeneres’ choice. Samsung donated an equal amount of $1.5 million to both St. Jude’s and The Humane Society. Regarding other areas of giving, DeGeneres, in collaboration with Ben Affleck, launched the Small Change Campaign to benefit Feeding America, a U.S. hunger relief organization. Started in 1987, the Small Change Campaign is a charity that has already benefited children in Germany and Southeast Asia, offering mothers training seminars in nutrition and child care, implementing campaigns against violence against women and improving school education. 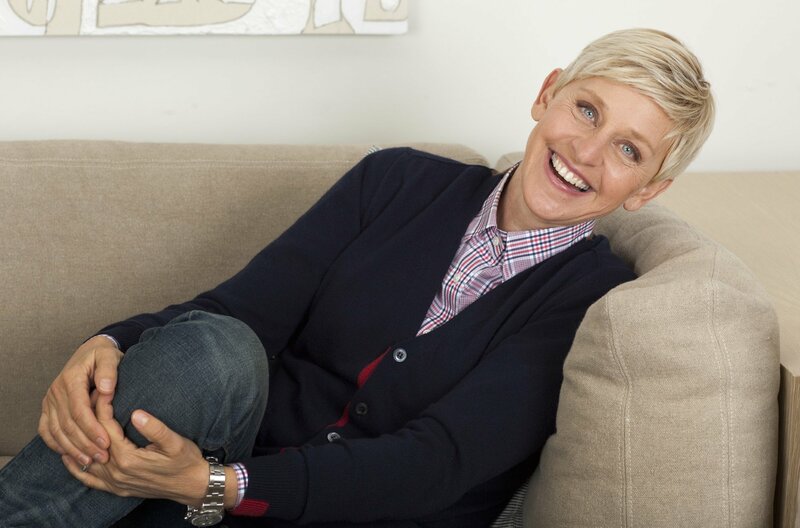 Additionally, Ellen DeGeneres lends a hand to global causes by supporting the Hurricane Katrina Relief Fund through the American Red Cross, which operates in 187 countries to prevent and alleviate human suffering in the face of emergencies with help and generosity from its volunteers and donors. Clearly making it a top priority in her daily life and through her media presence, Ellen DeGeneres lends a hand to global causes, as well as the nation’s own needs. She is continually acknowledged for her heartfelt and benevolent work, which continues to inspire all those who watch her.